Harcourts has responded to growth in north Hamilton by opening a brand new office in Rototuna. 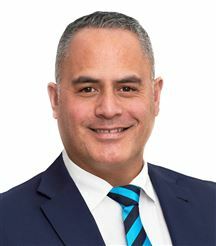 Boasting a team of 18 experienced sales consultants led by Branch Manager, Trent Finlay, Harcourts Rototuna offers more than a residential real estate service. Unlike all of the agencies in the immediate area Harcourts Rototuna has consultants who specialise in lifestyle and rural properties. The Rototuna team comprises of energetic salespeople, with expertise, established track records and local knowledge. They are committed to achieving the best results for their clients and their colleagues clients. The Rototuna office, together with its sister office in Westfield Chartwell, boasts the most salespeople in Hamilton's north east. The high profile Harcourts Rototuna branch enjoys impressive buyer enquiry as well as large A2 feature window cards - making the marketing of your property a little more targeted. Born and raised on the family dairy farm north of Hamilton and being an old boy of Hamilton Boys’ High School, Trent is proud to call the Waikato home. In 2003 after a decade in the consumer electronics industry working for the likes of Philips and Sony; Trent returned from living overseas, made a career change and specialised in residential sales with a Hamilton real estate company. After a successful start to his selling career he quickly moved into branch management as a selling manager in 2004. After six hectic years in the business, in 2009, Trent decided to pause his real estate career and moved into the dairy / agribusiness sector. This ‘sabbatical’ meant he spent five years in corporate senior leadership roles in the agriculture industry which involved large contract negotiations, technical projects, brand integrations and strategic planning, providing Trent some valuable experiences and a good opportunity to gain some perspective on the real estate business. In 2014 an opportunity presented itself for Trent to join Harcourts Hamilton to specialise in rural and lifestyle sales and to manage the new Rototuna office which opened later that year. A few months later in 2015, Trent became a shareholder in the Harcourts Hamilton franchise and now manages the Rototuna branch and rural/lifestyle team full time. An experienced marketer and negotiator he still loves getting out in the field with the team, meeting with clients as well as developing the Harcourts Hamilton business. Trent is passionate about real estate and is actively involved with his colleagues supporting a number of charities and fund raising projects as well as giving his time to Trustee roles. Aroha Griffiths is more to her clients than just an agent. As an honest, trustworthy and treasured friend to so many, Aroha is the genuine and reliable face that has for too long been missing in the industry, always going that extra mile. Having lived and worked in Surfers Paradise since relocating to New Zealand from the Gold Coast Australia, Aroha has been loyal to Harcourt’s since her beginning; loyalty to a degree scarcely found these days. It is this personal and professional ethic that provides a reassuring sense of sincerity to everything she does, shining through every property she represents and every person she meets. Represented and captained both New Zealand and Australian Touch Football and Netball sides Aroha knows how to go the extra mile. Aroha is always demanding the highest standard of herself and has a ongoing desire to deliver the ultimate customer service – summarized by her commitment to constant never ending improvement and relentless training. “Focusing on innovation, open communication and elite service will set me apart from the rest. From the moment people meet Aroha there is warmth, empathy and an understanding one often expects from older people. Her maturity is comforting, knowing that she also has the full support of The Harcourts Group. Extremely driven, Aroha’s enthusiasm is infectious while she has her focus firmly set on achieving the best results for her clients. Armed with the right attitude anyone can work to achieve their own personal goals, but the goals of others – now that takes a whole different calibre of person to be able to work towards those. So whether you’re seeking or selling, Aroha’s honesty, kindness and sincerity makes her the positive choice when it comes to finding someone to drive your property goals across the line. Aroha Griffiths - where success comes with persistence and hard work. Bridget Floyd has come from a farming agricultural background. Growing up on a dairy and beef farm in the BOP and working and assisting with numerous orchards in the district. Bridget then moved to the Waikato and has spent around 15 years here in the equine industry with racing, training and competition horses, so she has a vast knowledge in this sector. Finding Hamilton her home where she runs her own lifestyle block Bridget wishes to offer her wide knowledge of the area and agricultural community to prospective clients and customers. Intending on specialising in equine properties for the horse enthusiasts such as herself. Contact Bridget today if you're wanting an ambitious agent to expertise in these fields. Christine is a proven marketer whose people skills and passion is an asset to any buyer or seller of residential real estate. With a calm manner and an inclusive approach, she has a natural ability for delivering results. Christine’s work ethic and consistent success in media sales and marketing has enabled her to invest in numerous properties as a buyer, landlord, renovator and vendor. She understands the challenges of listing properties at all market levels, as well as an instinctive skill at matching properties to people's needs and aspirations. Christine is someone who will listen to your needs and communicate with you throughout the entire selling and/or buying process. When you choose her, you are assured of personal service, attention to detail and delivery of promises made. With a strong background in business and marketing you can be sure of a fresh and innovative approach tailored for you. Christine was born, raised and educated in Hamilton. She completed her NZDIPBUS at Waikato Polytechnic. With prior 7 years’ experience in management while employed with Inland Revenue Department and her media sales and marketing skills gained for 8 years with Mediaworks, she has developed an extensive social and professional network of people. She has strong family values and enjoys spending time with her family, travelling and keeping fit and healthy through running and the gym. Hey, I'm Daniel, and I have been selling houses for Harcourts across Hamilton for over three years now. My big aim in real estate is to get the job done for people, and to build a reputation as a great real estate salesman. I am enthusiastic, hard-working, professional, and I tell the truth! (shock horror) I was brought up in a Christian family, and I retained the values that I was raised with to treat others as I would expect to be treated. I work hard to get the job done right. Selling your house for the best possible price with full exposure to the market. I ensure that the difficult face-to-face conversations, the hundreds of phone calls, and the viewings and follow up get done.​ Many agents who have been in the business a long time are happy to tick along, just doing enough. However, this isn't good enough. This won't get you the best price. I take marketing seriously - it is my thing. I go the extra step by marketing my listings across the many extra advertising medians such as social media to ensure the properties are exposed to the most potential buyers. You can't just put an advert on Trade Me and expect the best result. I enjoy the challenge of negotiating a deal, and always get a sense of achievement for my clients when the SOLD sticker goes up. I have a keen interest in the city of Hamilton and has lived most of my life here. I have recently set up LINKEDIN LOCAL HAMILTON, a networking event for local professionals from LinkedIn to meet up and chat in person. Prior to real estate, I have a background in marketing, branding, sales, customer service and market research. I even had my own Ice Cream store for a small time. I have a Master’s Degree in Marketing, with specific expertise in consumer behaviour and services marketing. This marketing background and understanding sets me apart from other agents who don't bother putting the same amount of effort into marketing your property as I would. ​​Qualifications: • Master of Management Studies – Marketing • Bachelor of Business Studies – Management & Marketing • Certificate in Real Estate (Sales) For somebody who who thinks outside the square in real estate, Call me on 0273491873 to catch up for a chat. Follow my social media or visit https://danielhopper-harcourts.com/news to keep up to date with all the latest news from Hamilton and the real estate market. Dave has enjoyed a diverse sales career and has now completed his fourteenth year of service to the residential property market in Hamilton. Most of his current business is repeat and referred customers. Dave is about combining his knowledge of selling and buying real estate with a relaxed, straight talking, honest approach, where client and the customer needs are paramount .You get the benefit of the whole facts and nothing but the facts. It’s about working with you to locate the right property for you or to find the right buyer for your property So, if knowledge of the market, honesty, personal dedicated service and hard work are what you require, then ask Dave to get the outcome you want. 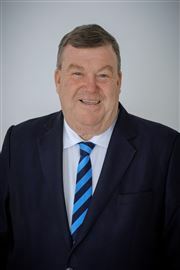 Prior to commencing real estate in 1997, David had a successful career, spanning nearly 20 years, with the Bank of New Zealand. Regular promotions dictated living in several locations and as a result, he understands that buying and selling homes can be both disruptive but yet exciting. He finds his knowledge of the finance sector beneficial with real estate transactions. David has built up a well-respected reputation in the industry with clients and colleagues due to his thoroughness and willingness to provide quality service resulting in continued repeat and referral business from his many past clients. David was the last foundation member of Harcourts Dinsdale Office prior to relocating to Harcourts Rototuna Office when that office opened in 2014 and enjoys living just around the corner from work. David has a proven track record and is regularly acknowledged within the company (Top Auction Lister 2002, Top 10 company ranking on numerous occasions from 2002 onwards) with over 720 property transactions exceeding $115million in sales and 250+ Auctions. David has helped a vast selection of clients with their property transaction including first home buyers, investors, retirees, professionals and families. With his in-depth knowledge and experience of Mortgagee sales, David has become the recognised specialist for Mortgagee and Insolvency (Bankruptcy) for Harcourts Hamilton and surrounding areas. His professional and empathetic approach in these delicate situations has proved beneficial for all parties concerned achieving the best possible result. David, his wife Robyn and their three adult daughters (2 grandsons) enjoy camping, boating, water and snow skiing. If you're looking for a reliable proven consultant who understands the market, is not into high pressure sales and will act in a professional manner, then give David a call. Let Janine guide you through your next real estate sale or purchase. She is passionate about delivering the very best customer service and will work with you to help you achieve your dreams. 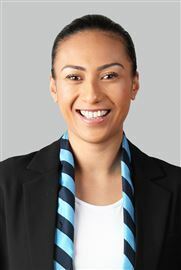 A new member of the Harcourts Rototuna team, Janine has over 6½ years of experience in selling Hamilton real estate and has completed over $30 million in sales. Janine’s clients appreciate her hard work, determination and positive attitude and as such engage her time and time again when buying or selling. Give Janine a call today to find out how you can work together to make your real estate dreams come true. Linda has been in the banking sector for twelve years before starting a play school whilst raising her two children. She treasures family life and her involvement in the community has given her the edge in dealing with people. She has a passion for property – with people at heart. Linda offers years of experience in buying and selling residential real estate. 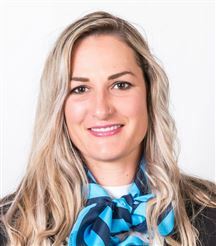 She prides herself in forging positive and personal working relationships with clients to satisfy their property requirements by understanding and responding to their individual needs. Linda’s sound business ethics ensures a transparent process and she has the skills to communicate and negotiate positive outcomes. Professionalism through dedicated service enhances both vendor and purchaser satisfaction. Her goal is to successfully market and sell real estate at the best possible price in the shortest period of time whilst furnishing sound information to vendors and prospective buyers alike. Linda is looking forward to being of service to you when you're ready to make a real estate decision. Madeleine made the move to Real Estate in 2010 after a 13 year career in the media advertising industry selling and marketing ideas and intangibles for Radio and TV. She achieved success right from the start and now enjoys a well-established career in Real Estate and her successes have been recognised at quarterly and annual sales awards but more importantly Madeleine gets results and has built a fantastic reputation and referral business. Her passion, genuine care, determination and commitment have earned her a reputation for delighting her clients with outstanding customer service, meticulous attention to detail and an ‘outside the square’ marketing approach. Madeleine understands her reputation is built on the success of her clients and she is focused on getting results and achieving their objectives. Madeleine will discuss with you the true reality of the market that you are in rather than “what you want to hear”. Hardworking, genuine and people-focused, Madeleine aims to deliver a stress-free real estate experience by really listening to her client’s unique needs, working hard and smart to achieve the result they want, and bringing a smile to their face at the end of the day. Born and raised in Christchurch, Madeleine has lived and worked across the North Island and settled in Hamilton in 2002. She is a keen Chief’s supporter; however when the Crusaders are in town the Yellow in the jersey seems to go. Away from Real Estate, Madeleine is a mum and very proud nana to her first Grand-daughter, Charlie. She is also a keen “learner” gardener and novice road and mountain bike rider. Patrick joins the Harcourts Hamilton team based in Rototuna as a Residential Salesperson. Prior coming to the Real Estate business, Patrick has worked around 25 years in Hospitality & Customised service both nationwide & abroad. Speaking English and Mandarin fluently, plus owning rich knowledges as well as experiences in strategic planning and time management based on market orientation, Patrick is looking forward to assisting you in your next property trade. Please feel free to contact Patrick whenever you need. Ray joins us from a background of real estate sales and marketing. He returns to the known and trusted Harcourts brand where he previously placed in the Harcourts TOP 50 Agents for the Northern Region while at our Howick Office, Auckland. He is an advocate for 'face to face' contact bringing with him a focused and committed attitude to provide superior client service. After 13 years in the New Zealand Police, he has an extensive knowledge base of both people and property in the Hamilton and wider Waikato area. He provides a vibrant dynamic approach to preparation, planning and negotiation having dealt with many challenges during his career. Ray prides himself on sharp follow-up and client communication to ensure the real estate experience is easy and hassle free. Ray is considered a ‘techy ‘with most things digital, having held an electronic forensic portfolio within the New Zealand Police. This also extends to his in-depth operational experience in the use of various social media platforms. He believes marketing is an absolute must to achieve the most effective reach possible. Ray's week begins and ends with exercise and a healthy routine. He believes in a work, life balance with his family, fitness and nutrition. Ray has a great connection with the fitness industry which can be seen in Ray’s drive to challenge himself daily. He believes "results do not come without hard work". Down-to-earth, friendly and good natured, Ray’s strong work ethic and determination coupled with a 'can do' attitude makes him the ideal agent. If you are thinking of selling your home, it will be one of the biggest decisions you will make - choose the right person who is committed to achieving outstanding service. With her own family now grown, Rebecca joins Harcourts bringing with her a wealth of knowledge and enthusiasm – a lifelong love for working with people and property. One of Harcourts’ core values is ‘people first’, and that’s just what Rebecca does. Regardless of whether you’re a first home buyer, an investor, moving up the property ladder or downsizing, it is people first and always. From property investment spanning 30 years, Rebecca has unique insights about homes, how they can be transformed and meet today’s family and living requirements. Have peace of mind in the fact that after 20 years living, working and raising a family in Hamilton, Rebecca is a sales consultant who knows and is knowledgeable about the area, local property and local buyers. Sue was born in Korea and has lived in New Zealand for 20 years. Her previous roles at the University of Waikato and the Library mean she has always dealt with a diverse group of people. No stranger to real estate, she has been working in the industry for the last six years. Specialising in the Huntington and Rototuna areas previously – Sue joined the Harcourts team to broaden her business. Sue is focused on processes and the important details along the way in order to have happy clients and repeat business. Sue is focused on: •	Communication – making sure clients are kept up to date before and after sales. •	The education process – helping buyers to understand the market ensuring an informed decision. •	Trust – providing an experience where trust is paramount. Weiwei Zhao, graduated from Waikato University in 2016 with a Master’s Degree in Business Management. Having been in Hamilton now for two years, Weiwei thinks of this city as her home. 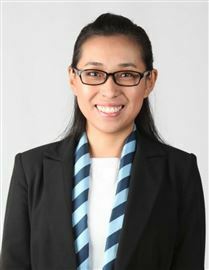 Having worked as an Education Agent within the Chinese Community, Weiwei has an extensive database of contacts and clients. Call her today to discuss your next real estate move. Young has been in New Zealand since 2002 and was working on a dairy farm for 7 years. During the 7 years of hard work, he learned to set goals, follow the right direction and receive good results. There are several qualities Young has proved in the past two years which he believes will ensure success for his customer’s real estate needs: • He is enthusiastic • Passionate about real estate • Determined to achieve set goals • Believes in his ability to get excellent results Young believes in giving more than you get. Reward follows service and Young understands the more energy and effort he gives his customers, the more satisfaction is gained in achieving successful positive outcomes. Understanding and meeting his customers’ needs is paramount to Young. He gives his customers all of his energy, effort and focus to achieve positive results. If you are looking for a Real Estate professional who puts people first, who genuinely cares about his clients and helping them to achieve their dreams, then get in touch with Young Yang and look no further. An outstanding communicator, Jeff builds trusted relationships with buyers and sellers. Born and raised in Hamilton, he spent most of his life in the city where he raised his family. He has bought, sold, renovated, subdivided and built homes here, and was involved in the construction industry for over 10 years, giving him a strong understanding of housing and construction processes. He has seen the city evolve and knows it well. Jeff has a passion for working with buyers and in the past two years has carved out a niche for himself in the Hamilton real estate market. Jeff brings buyers and sellers together. Smart and Sweet in Sylvester! Sure To Tick All The Boxes! DO UP! - Get Out The Tools! Be Quick, this wont last long! The Good Life in Good Street! Motivated owner wants to sell! Brand New - Lock it in Today! Do Up - Fabulous Location! The Owner says Sell It! Was $479000, now only $435000! Section For Sale - Glenview! Owner Occupiers Are Moving On! Out of Town Owner - Need Sold!